John MacLellan, distillery manager of Kilchoman and a long-standing figure of the Scotch whisky community, passed away on Sunday following a battle with cancer. John MacLellan (1955-2016), was a long-standing and loved member of the Scotch whisky industry. John, who had been living with prostate cancer for several years, passed away at his home, near Port Charlotte on Islay. His whisky legacy began in 1989 when he joined Bunnahabhain distillery, helping the brand emerge as a single malt for the first time in 100 years. He eventually became distillery manager and stayed on at the site when it was sold to Burn Stewart in 2003. In 2010, after 21 years’ service, John decided to leave Bunnahabhain and join the fledgling Kilchoman as distillery manager. During his time at the distillery, John played a major role in the launch of Kilchoman 100% Islay, and the brand’s first core expression, Machir Bay. However John was diagnosed with prostate cancer and took leave from his role at Kilchoman in 2014. In December last year, Kilchoman auctioned its first 10-year-old bottling, from the very first cask laid down at the distillery, raising £7,000 for the Beatson Cancer Charity, which aided John in his final months. His family – wife Lindy, daughter Rosie and son Sandy – have started a tribute fund in John’s name, with the aim of raising £5,000 for the Beatson Cancer Charity. Donations can be made here. 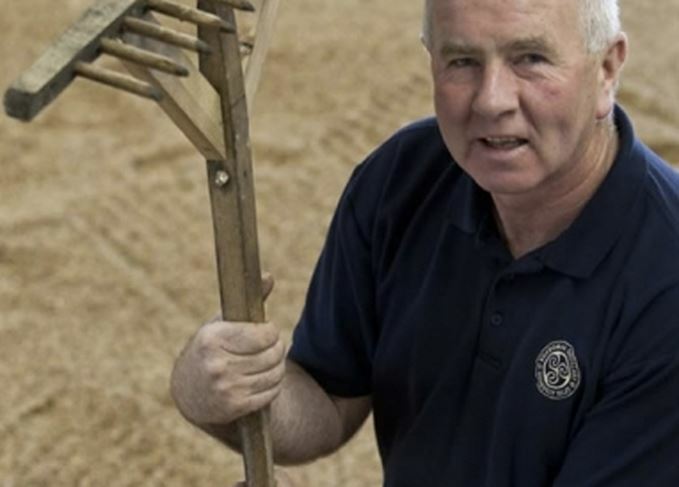 A statement from Kilchoman distillery, posted on its Facebook page, said: ‘John MacLellan sadly passed away on Sunday. He will be a huge loss to us at Kilchoman and to all that knew him. ‘His impact at the distillery has been immense and we will all miss him greatly. The huge number of kind words we have received in the past few days from all over the world are testament to John and the affection everyone had for him. 'In 2010 we were looking for a manager, hoping to attract someone with experience beyond production to help us grow Kilchoman globally,' he said. 'We never dreamt that someone of John’s experience would believe in what we were doing so much that he would want to join us. He brought with him a wealth of knowledge, a dry sense of humour and a massive following within the whisky world, putting Kilchoman on the map. 'John worked well with everyone but especially enjoyed working alongside the younger members of staff praising them when things were done well and encouraging them to make the most of their abilities wherever they worked. 'I first met John when he was manager at Bunnahabhain. It was a time when the whisky was little known. His office door was always open, my calls always answered, all areas could be accessed. It was part of who he was – going that extra mile to help, to teach, to joke. 'Thanks to him Bunnahabhain started doing Feis bottlings. Irritated that the then owners weren’t embarking on the same route as Islay’s other distilleries, he and the team at the still took it upon themselves to join the trend. The bottlings, of course, were legendary. John, after all, knew where the best casks were. 'He has faith in what he and the team were making. The smile on his face when, a few years later, Bunnahabhain was relaunched as a single malt at an event on the Royal Yacht Britannia made you think for a moment that the vessel was his. 'He took a similar hands-on approach when he joined Kilchoman – an inspired appointment. Here was a manager who understood whisky, a man who knew Islay, a person who could steer a new whisky into maturity, a steady hand on the tiller. 'He always had time for a lengthy chat and that sense of humour was undimmed. I recall coming across him in the depth of the distillery standing next to a plastic bin filled with whisky, a teapot in his hand. “You realise Dave,” he said, “this teapot holds exactly 75cl.” With that he continued bottling that year’s Feis launch. It was a very Islay moment; it was a very John moment. 'He enriched so many people’s lives and was deservedly proud of his son and daughter, always finding a chance to praise their achievements. My thoughts are with them and his wife, Lindy. 'The island is saddened by John’s passing. He was a very popular man and well respected by us all, not just as a distiller but also for fund raising for various charities, in particular the Islay Pipe Band in which his son, Sandy, was member. John raised a great deal of money to buy instruments and support the band on their visits to the mainland and his efforts paid off as the band has gone on to become a Grade 2 band, which is a huge achievement. 'In his earlier years he was a very keen soccer player and I played both with him and against him. With his long hair held in place with a head band he would go flying down the wing like a gazelle on speed trying to score from crazy angles – most times not, but when he did it was a thing of beauty. The only way I was able to stop him was to run straight into him and most times he would leave me on my arse, cursing. 'As a distiller his passion was a burning flame; he had time for all who were interested in Islay’s whiskies, not just Bunnahabhain and Kilchoman but the others as well. He was a true son of Islay both at home or on tour at the many events he participated in around the globe, preaching the gospel of the place and its people. 'He also had a very dry sense of humor and loved nothing more than winding up his fellow distillers. As he walked away you would think, "did he just say that?" but by the time you worked it out he was gone with a big smile on his face, thinking "another one bites the dust". 'John has gone to claim his angel’s share and left a legacy of brilliant spirits behind and for many years to come thousands will share in his passion and skills. He becomes part of the revered list of Islay distillers who have served their island well and will be remembered for his passion, pride and his amazing courage in the battle he fought so valiantly against his illness. He never looked for sympathy nor showed sadness when you spoke with him about his illness. He did not wish to make you feel ill at ease in his company – he wanted to enjoy your company. For John, every day was a bonus. A lesson for us all to remember. 'We have lost one of the most charismatic gentlemen of the whisky industry, a true Islay boy from the village of Port Charlotte. And we have lost a friend. 'John was an energetic and cheerful person, always welcoming his visitors with a mischievous smile, keen to tease his fellow distillery manager colleagues. The construction and early life of the Islay distillery is part cautionary tale, part inspiration. Recalling a year of shocks, surprises, new whiskies, fake bottles and controversy.